Pregnancy lasts for about 9 months and it is one of the most interesting periods in a woman's life, well, at least until a baby is born. Pregnancy begins with merging of the woman's egg cell and a spermatozoid. It might sound simple and it basically is, but there is a lot of things that could go wrong. Egg cell might not be in the uterine tube after the ovulation process, and this also goes for the spermatozoid. The uterus might not be well prepared for the pregnancy, spermatozoid's quality might be really poor, etc. This is just a couple of things that might get in the way of a successful pregnancy. When pregnancy does happen, it signifies the start of certain physiological changes in a woman's body. Actually, the uterus should already be partially prepared for the implantation of the fertilized egg cell. This preparation starts after the last menstruation and if pregnancy does not happen, it ends with a next menstrual cycle. One of the most important changes is related to the hormonal level. This is essential in order to speed up the metabolism and change it in the way, so that a woman's organism will be able to sustain two lives. 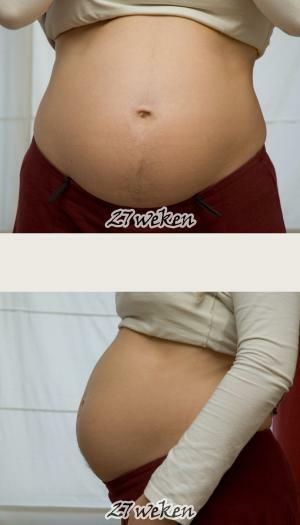 Also, a visible change is the increase in the size of the belly, which is normal and expected. It is obvious that the woman's weight will drastically increase thanks to the baby's weight, additional fluids, and generally, women tend to eat a lot more when pregnant. All this might cause certain medical issues. Leg pain during pregnancy might emerge; this is mostly due, to the woman's increase in weight, or because there might be some problems with leg veins (which happens because of the increased blood volume that fills blood vessels with more blood). Blood pressure of the woman might increase and also the glucose level in the bloodstream can become higher. As a consequence of the increased weight, especially in the final three months, inflammation may be the main cause of pain, in a form of burning, stinging, throbbing etc. General problem with medical issues during pregnancy is, that medications should be avoided during pregnancy, especially in the first three months. i dont want to be pregnant, what should i do?. How much rest does a sleep deprived need?